South Korea’s largest shipbuilder Hyundai Heavy Industries Co. has bagged combined 700 billion won ($616.5 million) orders to build five units of LNG, LPG, and crude carriers from home and abroad over the past two weeks. The latest order is to deliver an LNG carrier capable of transporting 174,000 cubic meters of gas from a Greek customer, according to Hyundai Heavy Industries Holdings on Sunday. The vessel will be fitted with Hi-ALS, an air lubrication system it developed to enhance the operation efficiency with 8.0 percent reduced energy consumption, and the system is gaining attention from customers amid stricter environmental regulations for vessel operation. 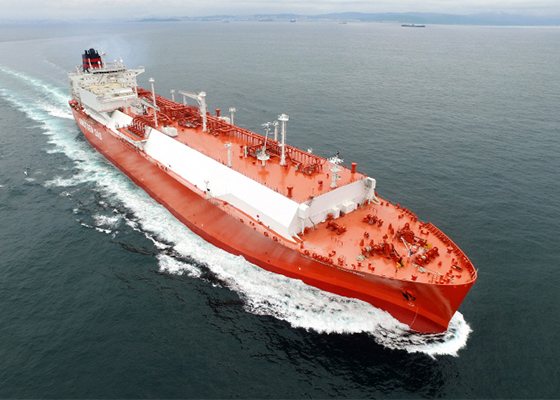 Before the latest deal, Hyundai Heavy successfully clinched three orders to build a LNG carrier for a Japanese customer, a LPG carrier at home and two crude carriers for a customer in Greece. It has won total orders to build 22 vessels worth $1.6 billion won so far this year, it added. As the global vessel demand is on the steady recovery mainly led by LNG ships due to the tightened environmental requirements, Hyundai Heavy with strength in fuel efficient technology is expected to win more orders. Global ship orders amounted to 32.2 million compensated gross tonnage (CGT) last year, up 14 percent from a year ago, and are expected to grow to 44.6 billion CGR this year, according to British shipbuilding and marine industry tracker Clarkson Research Services. Russia and Qatar planning LNG operation projects this year are another source of revenue.